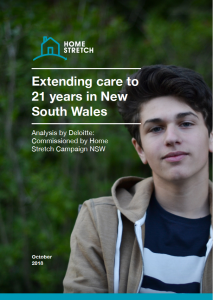 The NSW Home Stretch Campaign is calling on the State Government to improve the lives of thousands of young people in Out-of-Home Care, and save millions of dollars. Supported by Out-of-Home Care providers and advocacy groups Anglicare, Create Foundation, Uniting, Barnardos, Mackillop Family Services, Marymead, the Samaritans Foundation and Stepping Stone House. 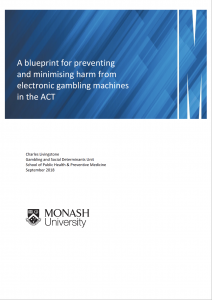 The purpose of this report is to highlight issues with the current system of gambling regulation in the ACT, with particular reference to the regulation and operation of electronic gambling machines. This report seeks to provide a range of options to support an active harm minimisation approach. The Rental Affordability Snapshot is a annual research project conducted by Anglicare partner organisations around Australia. The purpose of the report is to gauge if it is possible for people on low incomes to rent a home in the private market. The statistics reveal that housing stress is continuing to grow in Australia and we are seeking change to ensure every Australian has a place to call home. 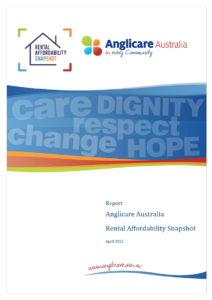 The Rental Affordability Snapshot is a annual research project conducted by Anglicare partner organisations around Australia. The report addresses the difficulties for low-income earners to secure suitable accomodation, without being in a situation of housing stress. 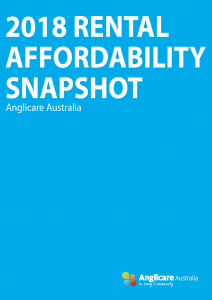 Through the Rental Affordability Snapshot, Anglicare agencies have identified the need for a national plan to address housing affordability. 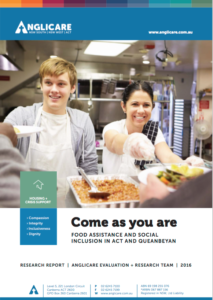 Research report on the role food assistance programs play in building social inclusion for vulnerable people in the ACT and Queanbeyan, prepared for launch in Anti-Poverty Week 2016. 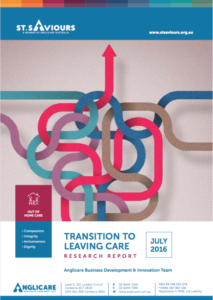 Looking at the positive impact our Transition to Leaving Care pilot project has had for young people leaving St Saviours Out of Home Care. 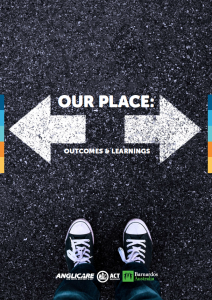 The Our Place Evaluation Report is a review of Anglicare’s youth homelessness facility, Our Place. 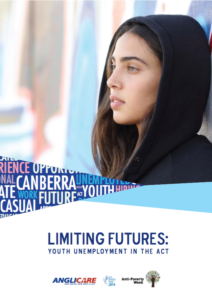 This transitional housing model for young people in the ACT is based on Foyer model principles that identify the benefits of linking housing with education and employment opportunities. 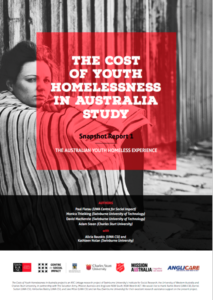 By Swinburne Institute for Social Research, partnering with Centre for Social Impact, University of Western Australia, Charles Sturt University, Salvation Army, Mission Australia & Anglicare. A research project designed to shed light on various aspects of youth unemployment, focusing on the ACT context.